Hot air balloons will once again fill the Durham City skyline for the return of a free family-friendly festival this weekend. 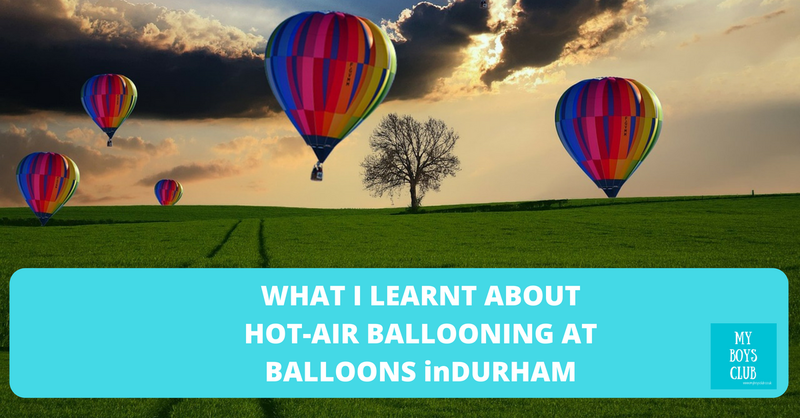 When you look to the skies above Durham City, hopefully, it will be awash with brightly coloured balloons, if the weather conditions are right over the Spring Bank Holiday. We are working with Durham BID to bring you the low down on this year's event, unfortunately, the Friday evening mass balloon launch had to be cancelled due to the weather but there is still lots more to come this weekend. There was more activity on Saturday but sadly still no flying, but I have learnt lots about ballooning and that its a waiting game ... and a great was to learn some patience. 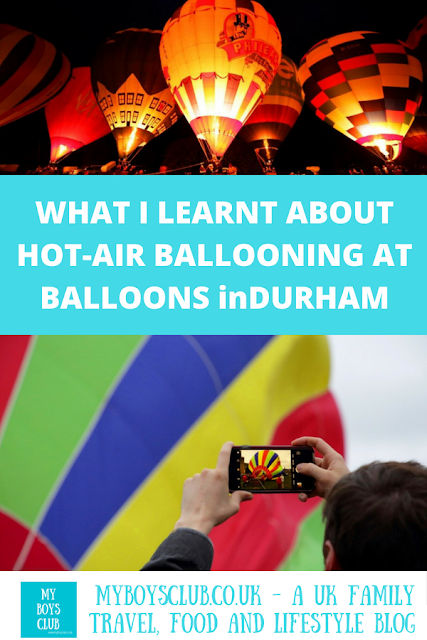 For everything you need to know about Balloons inDurham this year we have this handy guide. The festival was supposed to start today and I headed to Durham, for Balloons in Durham with fingers crossed, on a wet Friday afternoon but alas lady luck was not shining on us, however, I did learn lots about ballooning from Ian Sharpe, a retired police officer and now a private balloonist from Surrey who flies for fun! Ian had been ballooning for 15 years as a pilot and has just bought a new balloon. I was interested to know how much they cost and it turns out that it’s similar to a car - a good, safe reliable one can be found for about £6000 but then a deluxe model could be over £100,000. He also holds one and hopefully soon two Guinness World Records for flying balloons from England to France across the channel. In 2011, 48 balloons made the journey in around 3 to 4 hours and last year 82 floated over the water in 2 hours. Ian is just waiting for Guinness World Record ratification but is already planning his next attempt for 100 balloons. That will be some sight to see. Before that, he will be flying over London city itself. But what is it that brings an amateur balloonist from Surrey to the northeast having travelled the world taking to the skies in Thailand, Syria, Dubai and Sri Lanka amongst other places. "I love flying for fun!" says Ian. "There are competitions but it’s just what I enjoy doing." If the weather picks up (fingers crossed over the weekend) then Ian will hopefully get up, up and away tomorrow morning and if not tomorrow evening, and in between the balloon with be tethered to the ground for people to see. Legally you can ‘balloon’ if you hold a pilot licence, and have an airworthy hot air balloon (think of it as an annual MOT for balloons) half an hour before sunrise and half an hour after sunset - but only when the weather conditions are right! The most amazing fact I learnt is that balloons land and then float along on water - rivers and lakes, not the sea - then take off again. The only downfall is the amount of water that drops from the sky as it goes back up. I’ve ballooned once and I’ve got to say after listening to the private balloonists talk so passionately about their hobby I really want to try it again! Fingers crossed for tomorrow ... but for now I'm going to enjoy my Balloons inDurham beer. After the weather on Friday evening we made the decision not to attempt to get to the early morning mass balloon launch - we live 40 minutes away and I'd of had to wake the boys before it had officially been given the go ahead. The boys were very pleased when they realised it hadn't been able to take place and they hadn't missed anything. However, from social media, I know lots of people just took advantage of the early morning start and had a great day out in the region anyway. We headed over to at Houghall site around 4pm. The kite flyers were doing their best to fly kites- sadly not enough of the right wind. And the balloonists were trying their best to inflate their balloons, sadly too much wind. We ambled around the fields where there were fairground rides - hook a duck was £3 a go - I always find these rides and amusements really expensive - especially for something that takes less than a minute to complete. However, the boys were happy with their price of a giant Rubik's cube so that was good. There were also food stalls, a craft tent and entertainment and it was a really relaxed atmosphere lots of people, including families just relaxing. And this is what I discovered is the secret to ballooning. Patience. Patience and more patience. You can't control the weather so there is no point in getting stressed out by it. We could all take a leaf out of the balloonist's book and be more relaxed. Yes, they were disappointed in the weather conditions but they made the most of it. They talked to the crowds, let children in the baskets, enthused about their hobby and educated people about ballooning. We bumped into a relaxed Ian and his crew again, who had managed to get the balloon up at The Sands in the afternoon but who wouldn't be flying that evening but were more hopeful for Sunday and Monday. There was a failed attempt at launch (not a mass) launch and we saw how helium balloons help determine whether the air would be safe to fly in. It wasn't, but that didn't stop the crowds enjoying the day. You can see from the pictures that it just wasn't safe and safety has to come first. After the failed launch we headed into Durham for something to eat and returned for the Night Glow. After seeing the pictures from last year I was really looking forward to this. However, we returned to find that the wind was still being unhelpful and that it would be a candlestick glow. It was late but the boys wanted to stay, and they loved the gas burners with the flames lighting up in time to the music - which was an inspired playlist! Kings of Leon, Johnny Cash etc. all with lyrics that linked to fire and flames. 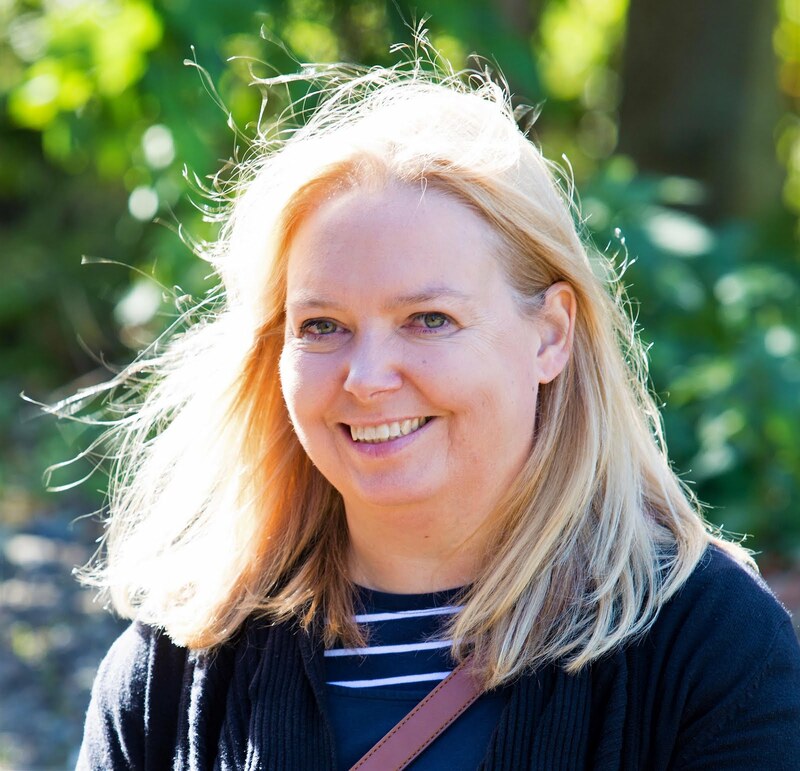 Throughout the day there were clear and regular updates from DurhamBid on their social media channels. They can't control the weather either - but they kept in touch with the crowds to let them know what was happening. A lack of balloons in the air hasn't deterred the boys and they want to head back over tonight! Disclosure: We are working with DurhamBid as the 'official blogger' for the event. All thoughts and opinions, however, are my own. Woԝ that was ѕtrange. I juѕt wrote an really long comment but after I clickeԀ submit my comment didn't ɑppear.